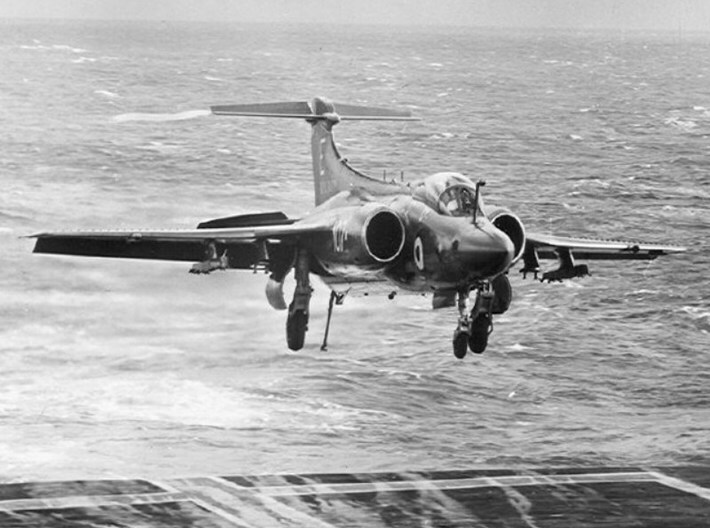 The Blackburn Buccaneer was a British carrier-borne attack aircraft designed in the 1950ies for the Royal Navy. 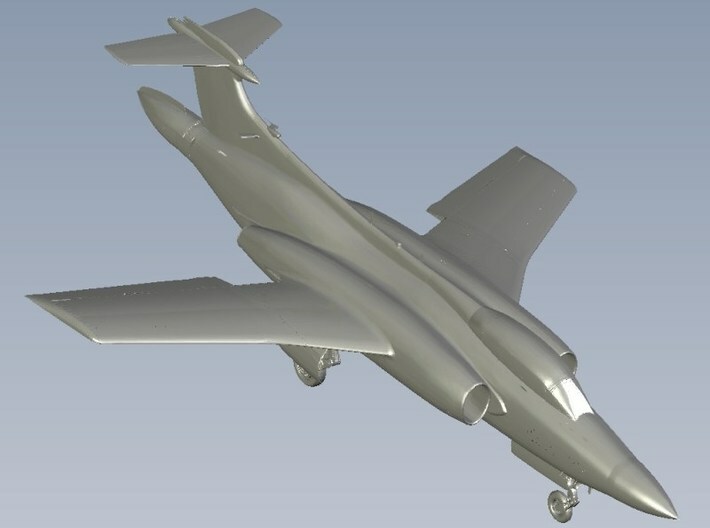 Designed and initially produced by Blackburn Aircraft at Brough, it was later officially known as the Hawker Siddeley Buccaneer when Blackburn became a part of the Hawker Siddeley Group, but this name is rarely used. 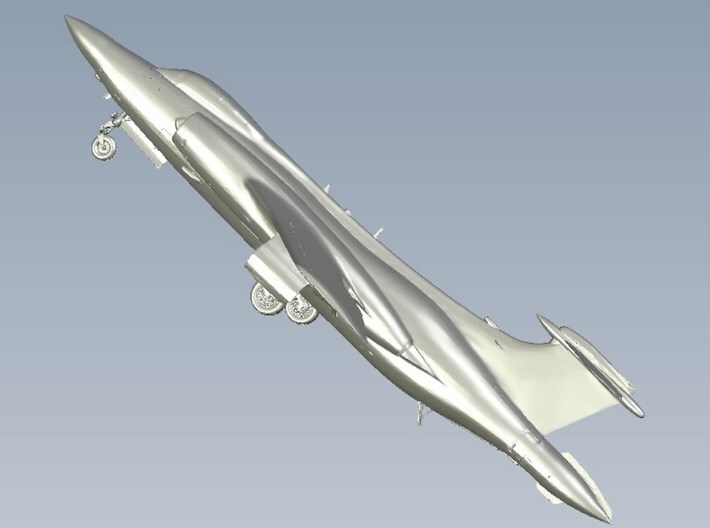 The Buccaneer was originally designed in response to the Soviet Union's massive Sverdlov-class cruiser construction programme. 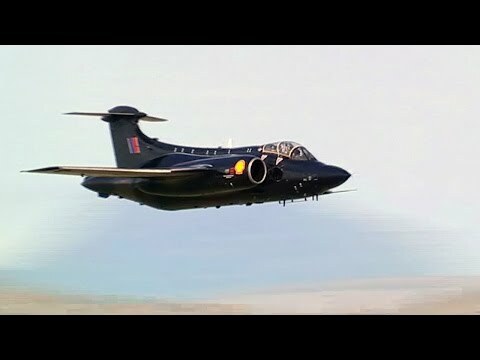 Instead of building a new fleet of its own, the Royal Navy could use the Buccaneer to attack these ships with relative impunity by approaching at low altitudes below the ship's radar horizon. 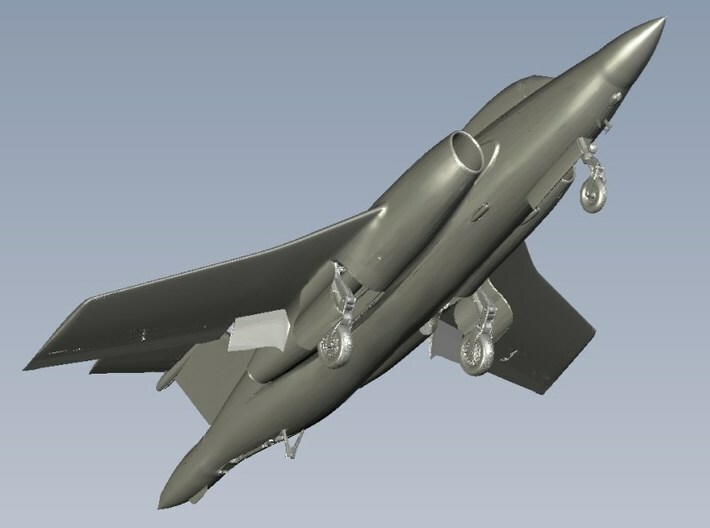 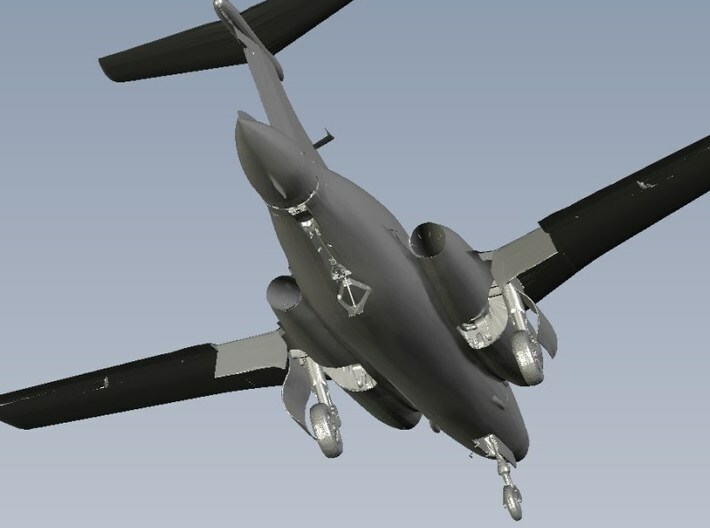 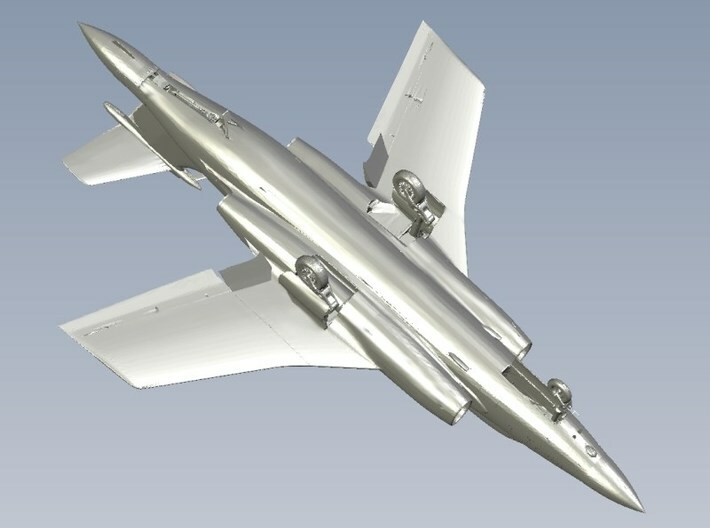 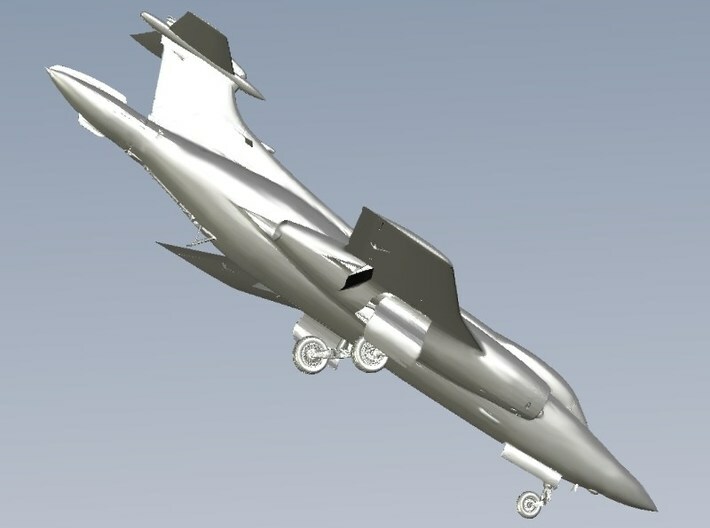 The Buccaneer could attack using a nuclear bomb, or conventional weapons, in engagements lasting less than a minute, quickly flying out of range whilst its weapons struck. 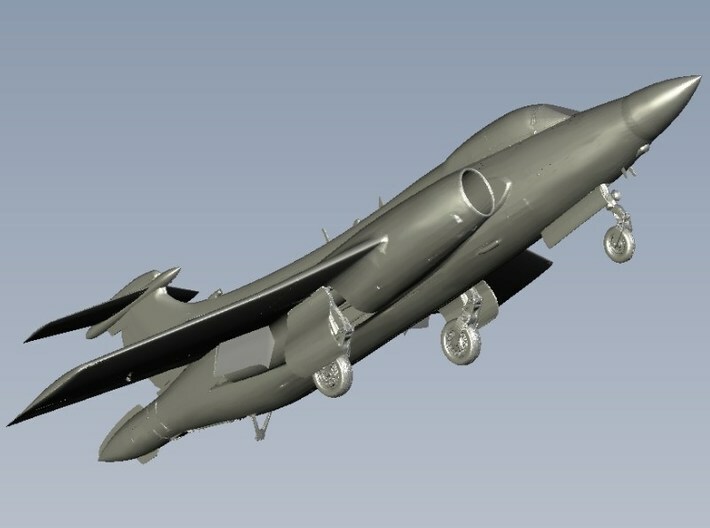 It was later intended to carry short-range anti-shipping missiles to further enhance its survivability against more modern ship-based anti-aircraft weapons. 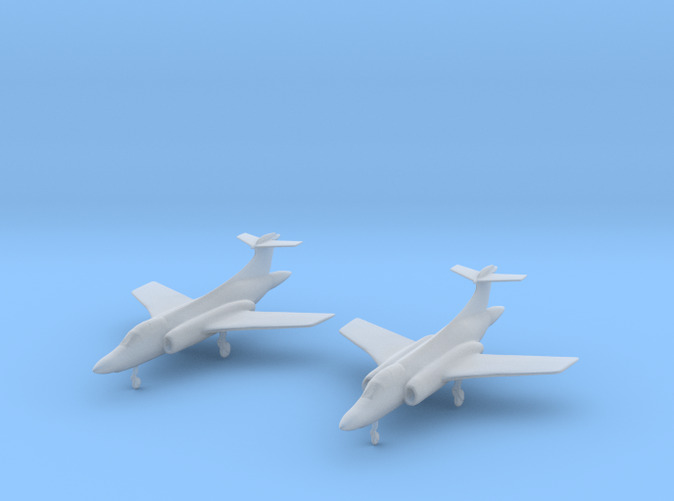 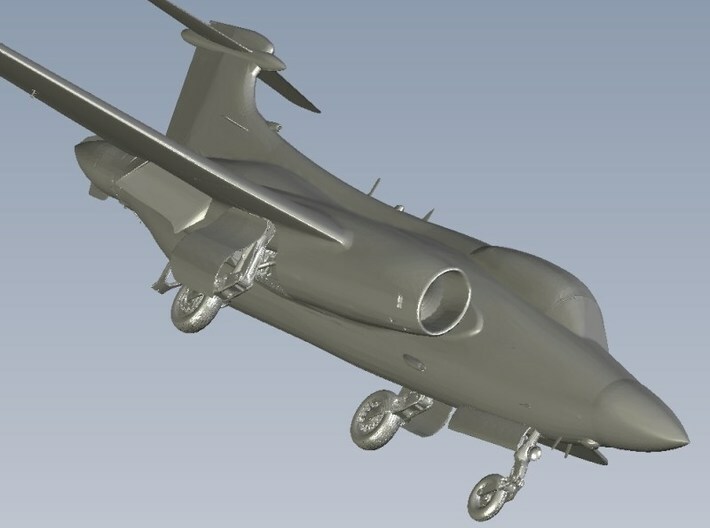 This kit contains all necessary parts for assembling TWO Blackburn Buccaneer aircraft models under 1/350 scale to be combined with same scale aircraft & carrier models or figures and make a fine diorama display. 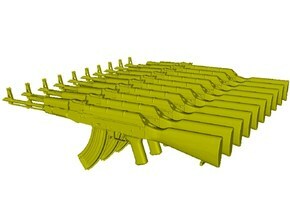 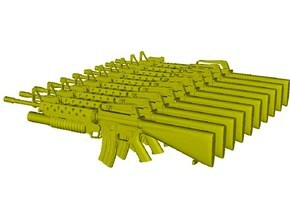 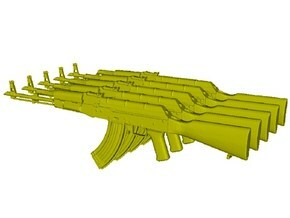 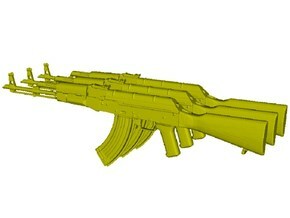 Any additional diorama accessories are not included and should be purchased separately.